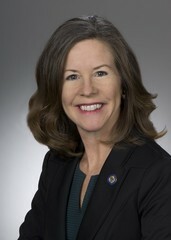 Rep. Denise Driehaus represents the Ohio House of Representatives' 31st District, which includes much of eastern Cincinnati, Amberley Village, St. Bernard, Norwood and Silverton. As many Ohio families know all too well, unintentional drug overdoses continue to be the leading cause of death in Ohio. Our state’s growing opioid addiction crisis isn’t confined to just rural counties or urban centers, but affects every community across the state. I believe we need to implement a multi-pronged strategy to combat the rising number of overdoses that are claiming the lives of our neighbors and loved ones. That is why I have fought hard during my time in the legislature to pass meaningful measures that will help to combat Ohio’s this epidemic. Earlier this month, I stood in support of the passage of House Bill 110, which included a bipartisan “Good Samaritan” measure that I originally introduced with Rep. Robert Sprague (R-Findlay) as a standalone bill. Family members who lost their loved ones to drug addiction and overdoses were also with us in support. We listened to heart-wrenching stories about how individuals did not call for emergency medical care during a friend’s overdose for fear of being prosecuted, and instead fled the scene. In times of emergency, when lives are on the line, no one should have to second guess doing the right thing. This new law will provide immunity from prosecution to “Good Samaritans” who call 911 if a friend overdoses on drugs. Thirty-seven states and the District of Columbia have passed similar laws to protect individuals from being arrested when they seek emergency room help for someone suffering a drug overdose. Today, I am proud to say Ohio is now one of them. The bill has recently been signed into law by the governor, and will be enacted 90 days after its original signing. While House Bill 110 cannot save the lives of those already lost, it can -- and will -- prevent future overdoses by encouraging users get help and treatment instead of just being thrown behind bars. While I am pleased we are taking steps in the right direction to curb this crisis, there is still much more to be done to keep these dangerous drugs off the streets and help citizens overcome addiction. That is why I have sponsored another piece of legislation -- House Bill 250 -- with Rep. Sprague to require prior authorization for certain opioid drugs to help minimize the number of prescription narcotics coming from our Medicaid system that are not medically necessary. In addition, in the last General Assembly, I sponsored an opioid abuse education bill that was also signed into law and requires each school district to include instruction on the dangers of prescription opioid abuse in their health curricula. Ohio’s schools already require health classes to cover things like alcohol abuse, drug abuse and personal safety. It is just as important to address the dangers of opioids – especially since some students may have already been exposed to these kinds of drugs after a sports injury or surgery. I am confident that the “Good Samaritan” law, as well as these other measures, will steer Ohio in the right direction toward ending the opioid addiction epidemic. From my meetings with families who have experienced tragic loss due to drug addiction, I remain committed to working across the aisle to eradicate this scourge from our communities. We can make Ohio a better place to live, work and raise a family if we come together to pass meaningful legislation that seeks to prevent these avoidable deaths.